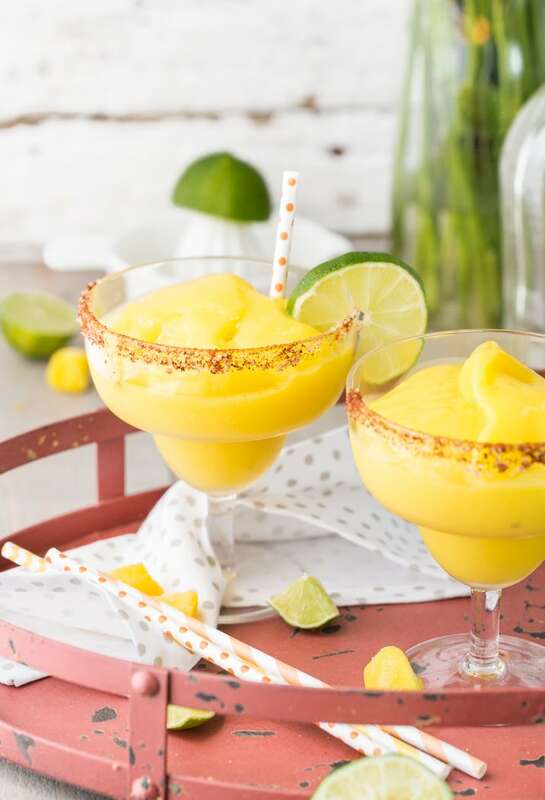 Creamy and dreamy SUPER EASY Chili Mango Margaritas are perfect for any Summer party! Cheers! 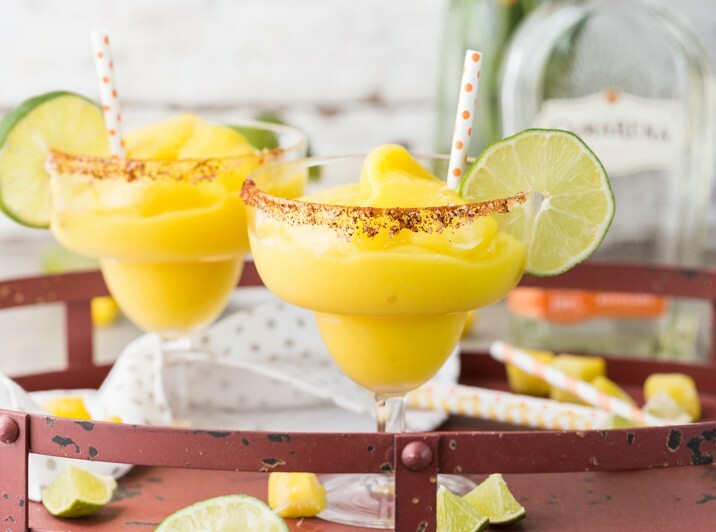 I love frozen mango margaritas and this chili twist makes them extra delicious. There were so many things to love about my trip to San Diego last month. We had a mexican food tour, lots of laughs, a boat cruise, and MARGARITAS!!! What goes better with Mexican food than margaritas! The menus were full of delicious flavor combinations I had never heard of; Strawberry Basil, Pineapple Jalapeño, and my personal favorite, CHILI MANGO!! 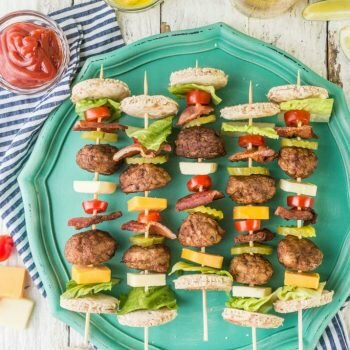 I knew instantly I had to figure out how to make these EASILY at home. Success! I love the subtle spicy vibes mixed with the tart and sweet mango. Oh, and I love that it’s made in minutes. 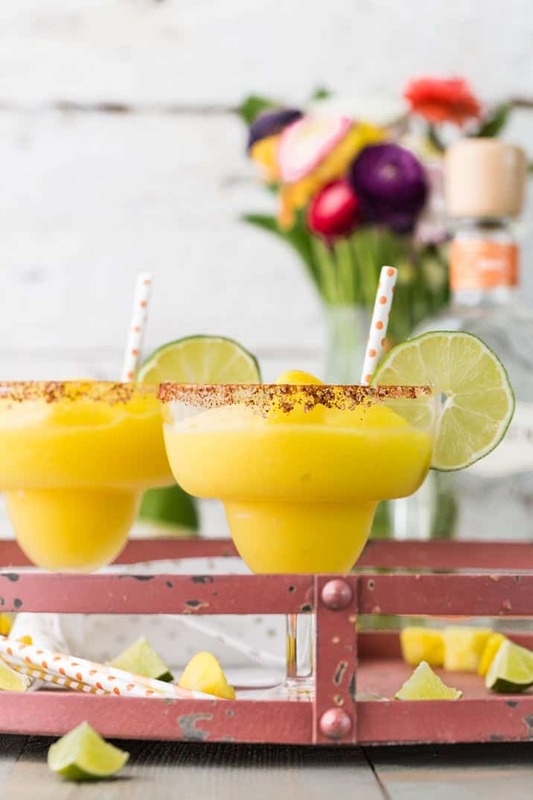 This great party drink could not be easier and is perfect for Summer. It was quite dangerous having an entire pitcher to myself at 10am on a Tuesday. It’s 5 o’clock somewhere…right? Love the added chili powder. Terrific photos – so bright and vibrant!! What a unique idea! These look so refreshing during all this humid weather. You will have to tell me where you get all the cute straws! Thanks Holly!! I got them from etsy I think! These pictures are beautiful! I love the sound of this drink, especially with a little kick from the chili! Ah-mazing! When Mike and I go on vacation to Mexico this is our drink of choice! The Chili Lime with the Mango is awesome! 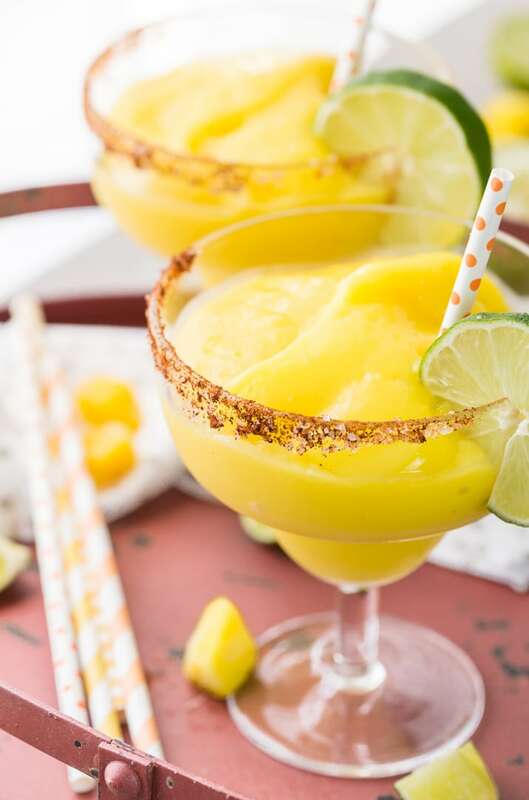 Can’t wait to try your version, I think I even have all the ingredients and have a mango that needs to get used up! Is it 5 o’clock here yet??? No, but 3:00 is close enough! 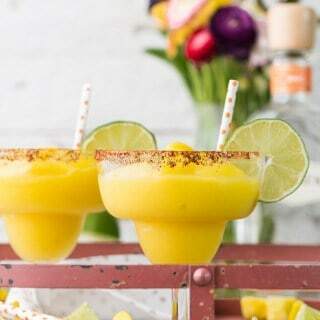 ;) These look so refreshing and perfect for a hot day! Love the photos! 3 is definitely close enough!! Ha, thanks for stopping by Malinda! What a fun combo!! I love this, can’t wait to try it! Pinned! These look amazing!! 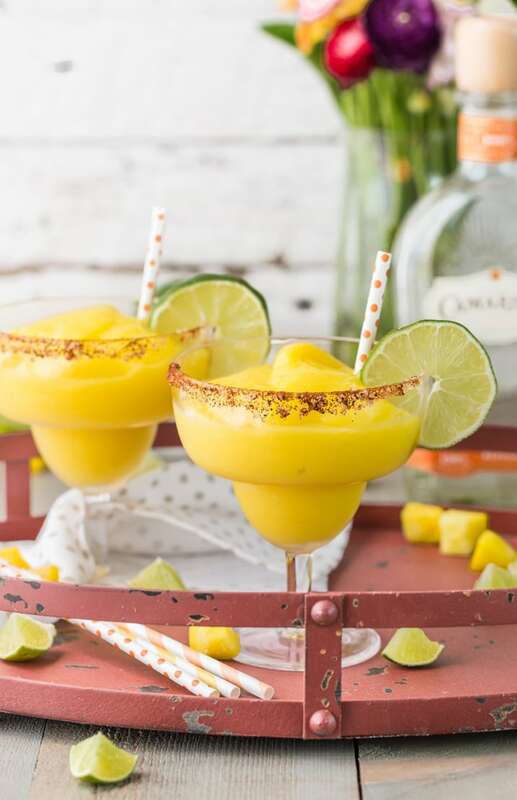 I can never turn down a mango margarita! Headed over to check out the recipe! Thank you so much Mariah! Dustin has started to love margaritas with some spice! And mango? I can never turn them down. Plus its like you made them non-alcoholic for me ;) Too sweet of you! Totally just for you!!! hahaha. Muah! 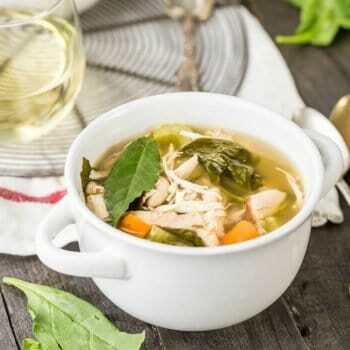 This is such a great recipe, Becky. I love that chili salted rim!! Oh I have to try those! !